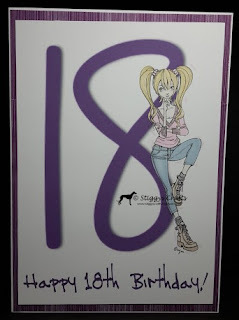 Perfect card for an 18 year old girl! Thank you so much for entering our ATG challenge at Through The Craft Room Door this week. Looking forward to see you again next challenge. Thank you for joining us at CUYL!